We continue the story of the art Marley, today we will focus on the headphones. In the meantime, here’s one fact about this brand, its creator, Rohan Marley – Bob Marley’s son. In the photo he is right. He is the CEO of The House of Marley, and that he needs to say thank you for such an unexpected design familiar gadgets. 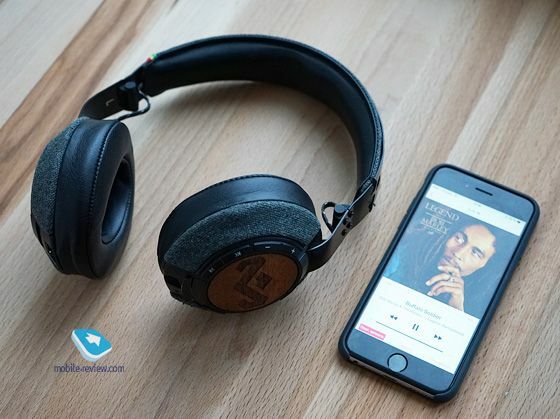 In the line of Marley is not only the speakers of all sizes and different functionality, but the headphones. 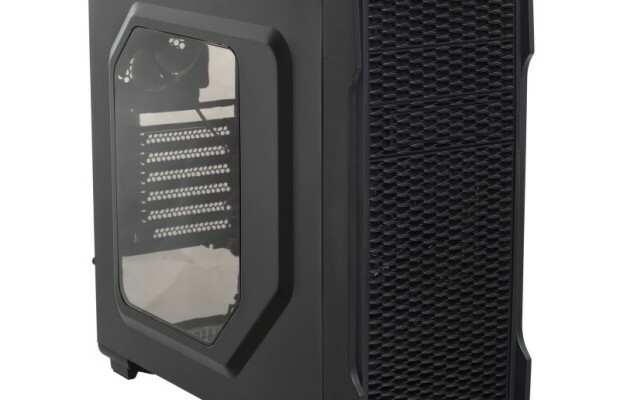 Today we talk about the two models, one of them is wireless, is addressed to those who want to get an advanced audio device to listen to music with a variety of devices and anything not limit yourself. Hurry to meet, Marley Liberate XLBT. Probably, this gadget will accompany you for many years. 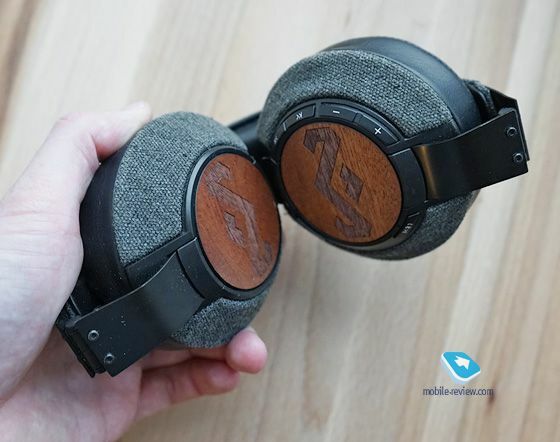 In headphones immediately traced style Marley, use different materials, they constitute a specific song or impression – these headphones as part of your daily image. You can select one of several options. Different color metal headband, cups, eco-leather and even fabric. Note here how the materials and how they are combined harmoniously. On a metal headband made holes, so the item looks better visually, through the holes visible substrate – the fabric. On the inside of the headband – smooth eco-leather with soft filler. 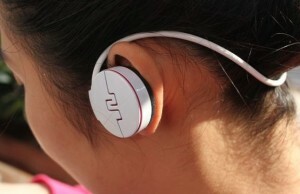 You can wear headphones for hours on end without fatigue. And then they can be folded and put away in a pocket of outer clothing, it is a big plus for large headphones. And if you have small pockets, you should use the supplied carrying case – it is very nice, made of fabric. On plates – lining made of wood, bamboo is the logo of the company. Cups rotate, fastened to the bolts connecting them visible cable. Once again worth mentioning that the headphones are perceived as part of the daily toilet, fit and girls and young people. But most certainly rejoice in men. After all, these headphones are imbued with the spirit of Bob Marley, and when you look at Liberate XLBT and would like to run in the player your favorite tracks – Buffalo Soldier, Get Up, Stand Up, oceanfront meet the sunset, and in general, it is easier to relate to life. And the first time you plug in your headphones to your phone or computer, we recommend you start with most of these songs. How can I connect Liberate XLBT? There are two ways. 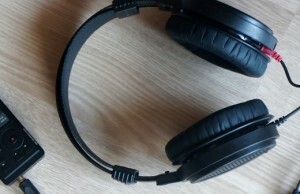 Included audio cable with a single click on the headphones have a regular slot, choose on what will listen to music, connect, enjoy. The cable is a miniature remote control with a single click – you can start and pause. 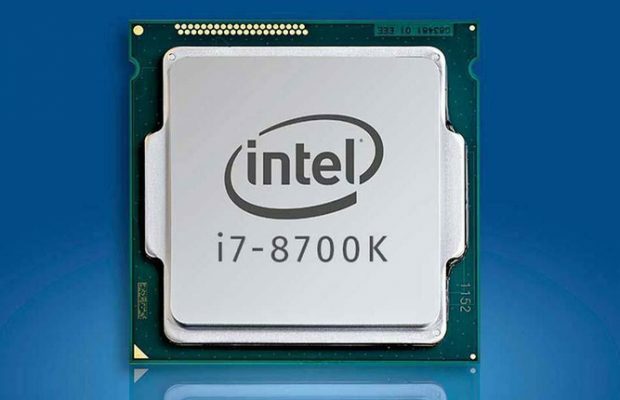 The second method is suitable for the equipment with Bluetooth, this is the protocol used to communicate with devices based on iOS, Android, Windows Phone, and desktop operating systems. 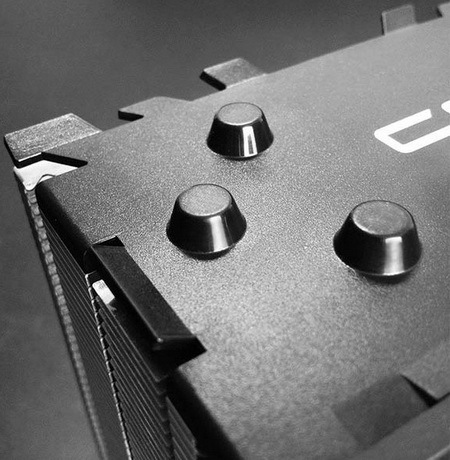 Supports AAC codec and aptX, which positively affects the quality of play. Headphones memorize eight previously connected devices, so you can quickly switch between your smartphone, tablet or laptop. Liberate XLBT have a built-in microphone, so you can talk without removing the cups, the voice quality is good. And this is a big plus and a walk, and in the office. On Headphones – all controls device is fast forward or rewind, volume control, and Bluetooth activation inclusion on it – four indicator lights, they can also tell you how much is enough battery. Delay after pressing no headphones immediately respond to your actions. In each cup – specifically modified dynamics of 50 mm, listen to Bob Marley – a pleasure. Excellent sound guitar, vocal, has an atmosphere, the amount of mood. Large volume with all devices. We were pleased with the versatility of this model: with modern devices, which supported aptX, headphones show a great result. Cups tightly closed ears, there are only included Could you be loved and be dissolved in the music. Headphones recommend to all who for freedom, great sound and modern features. Jeans, light music, good mood – that’s what headphones Marley Liberate. There is no Bluetooth, a model for those who appreciate beautiful things. See for yourself, there are three basic versions of this model. Denim, denim on traditional cups and headband. The headband is made of aluminum and has a perforation, as in the case of the older model, the holes visually make headband airier, lighter. Build an excellent, complete a fabric cover. We tried to wear headphones during the working day, no problems, discomfort is not felt. Ear pads are soft, covered with eco-leather, the material retains its shape and appearance of a very long time. I also want to note that Liberate look great with very different clothes, especially the “denim” option – young people appreciate these headphones. They are very different from faceless things made of plastic, just as heaven and earth. In Liberate there are serious differences, and it is the fabric and stitches near the headband, and trim cable – lots of interesting details. The model is used with steel headband light fabric, there is also a black version. On plates – lining made of bamboo, in each case, this material is unique, because it is a tree. Well, two identical pieces of wood in nature can not be found. It is unique for many love accessories, where there are wooden panels. Separately want to say about the eco-friendly materials. As in other gadgets company, it uses fabric – a product created from recycled materials, this also applies to aluminum. And even the packaging is fully recyclable. 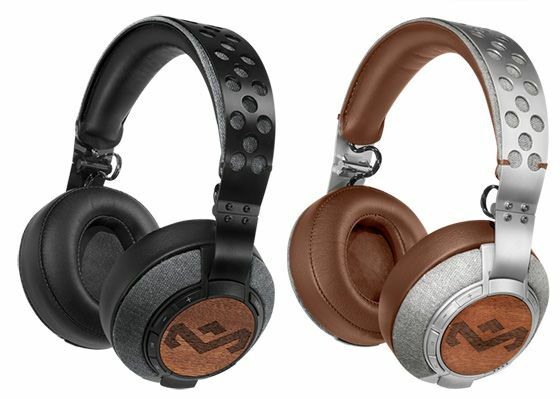 Perhaps now it is in Marley produced the most friendly to the nature of headphones and speakers. Shield of the tissue, it is not confused, even if you try to do it, you can unravel just one or two movements. Headphones work with any technique that uses a 3.5mm jack, it can be a player, laptop, smartphone or tablet. Accordingly, it uses one of the connections, only wired. Advantages are clear: do not need to charge the battery, do not need to think about the connection. But many cable prevents, links, so if you want a model with Bluetooth, select Liberate XLBT. 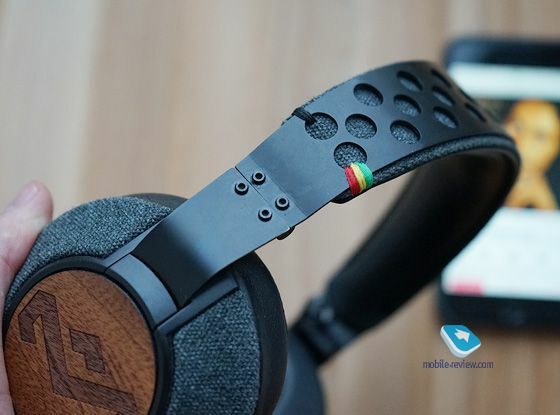 The sound quality is high, the speakers 40 mm, good detail at all frequencies, the company says about the signature sound Marley, this is difficult to disagree. We highly recommend this model not only for reggae, but also for pop music – in general, Liberate handle anything. Two of these different models, but in one Marley Liberate very similar. 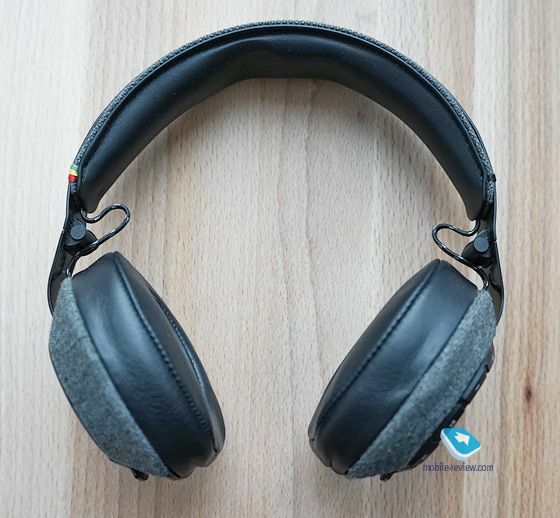 The unusual design, excellent sound quality, environmentally friendly and affordable prices – these headphones are able to change your idea is not only about music but also about music accessories in general.